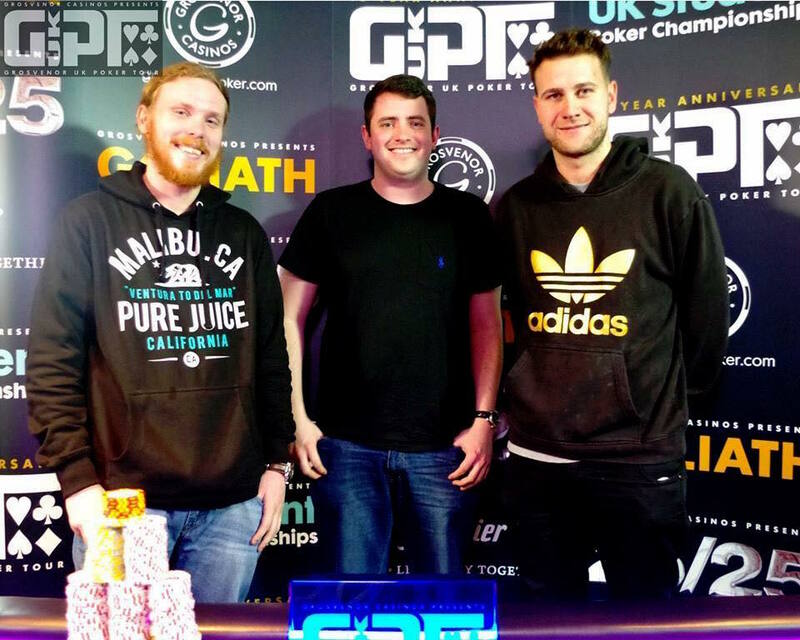 British pro Tom Middleton has taken down the GUKPT Blackpool Main Event after a three-way chop with Tom Hall and Richard Kellett. It was another great turnout in Blackpool for the main event, which garnered a prize pool of €251,000. Of the 251 entries, 17 players made their way back to the final day with their eyes on first place. Middleton, who shot to fame on the live poker circuit when he took down EPT Barcelona in 2013, went into the final table as the chip leader and kept the lead for almost the whole final. Jeff Kimber, who has a long history of making GUKPT final tables, finished fourth for £18,570 and once they were down to three-handed, the players decided to just chop it up. Middy took £56,255 for first along with the trophy, while Tom Hall received £52,990 and Kellett got £36,825. The GUKPT Blackpool festival, held at Grosvenor Casino Blackpool, right on the city’s famous seafront, is one of the highlights of the UK live events circuit. The GUKPT is celebrating its tenth season this year and is now the longest running poker tour in the country. It will wrap up a bumper year with the 14-event GUKPT Grand Final at the famous Grosvenor Victoria Casino in London from November 20-27. The £2,125 Main Event comes with a massive £400k guarantee! MainEventTravel.com is the GUKPT’s Official Travel Partner and has great deals on Blackpool and London hotels so don’t hesitate to get in touch.